Boheme associates with several of Manhattan’s prestigious artist management agencies, and presents many of the emerging stars of opera’s national circuit. Boheme Opera holds annual auditions in August each season in order to fill principal roles for its main stage programming. Traditionally, managed singers are heard in Manhattan given the geography of where most reside. 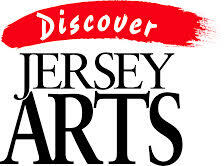 Local and unmanaged singers are periodically heard in the Central Jersey region.